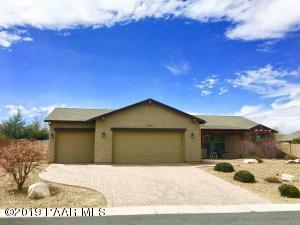 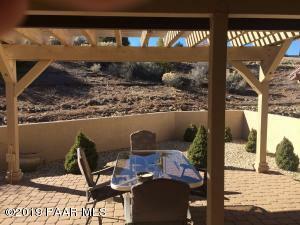 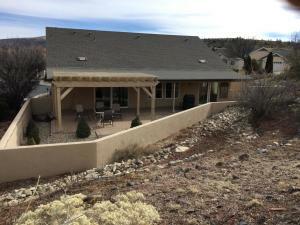 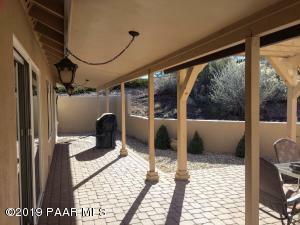 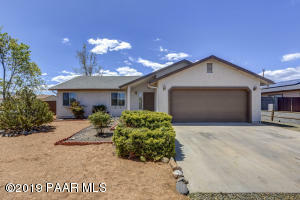 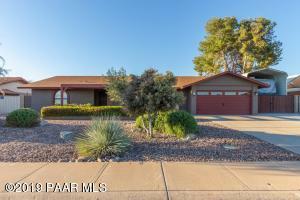 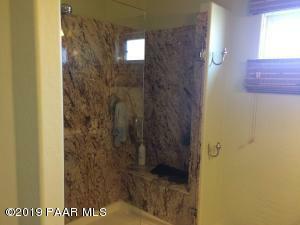 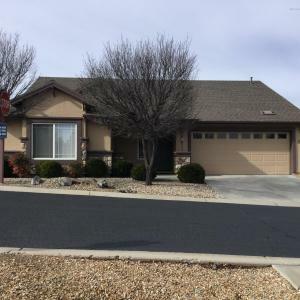 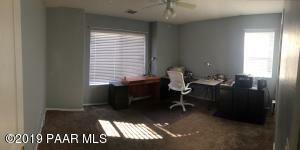 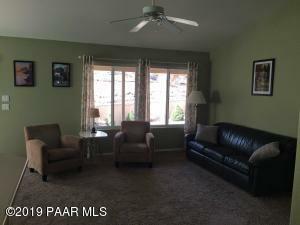 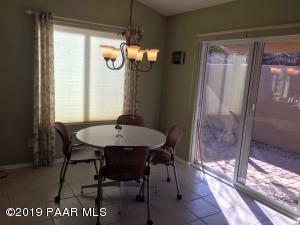 Beautiful contemporary home inPrescott Lakes! 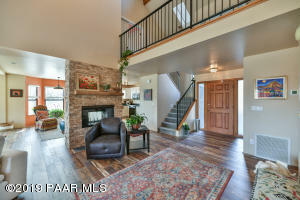 Spacious great room with vaulted ceilings. 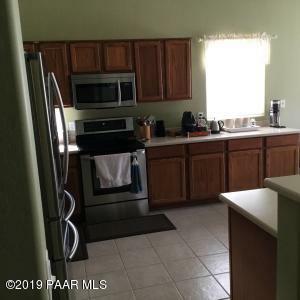 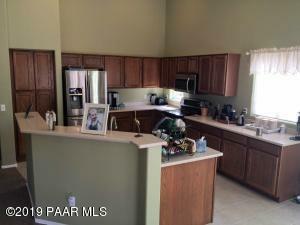 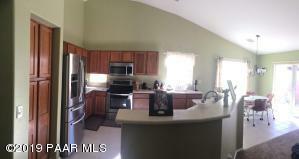 Open kitchen with solid surface countertops, stainless appliances, lots of storage, and upgraded fixtures. 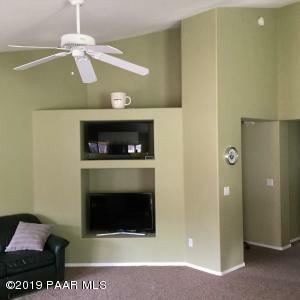 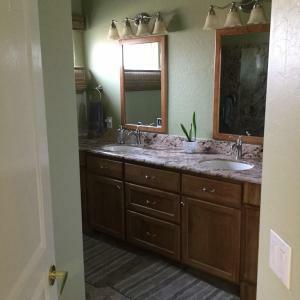 Beautiful master suite with custom sliding door to private patio, large walk-incloset and upgraded bathroom with double vanity and walk-in shower with seat. 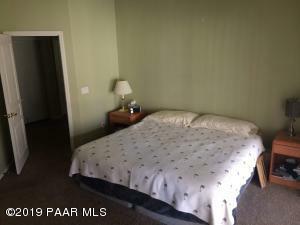 Large second bedroom with spacious walk-in closet and privateaccess to guest bathroom. 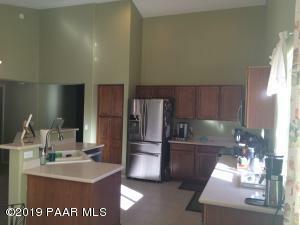 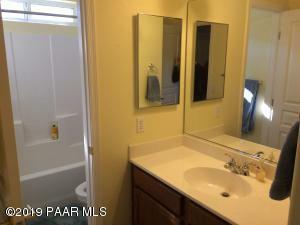 2 car garage, laundryroom and plumbing for gas stove and dryer areadded convenient features. 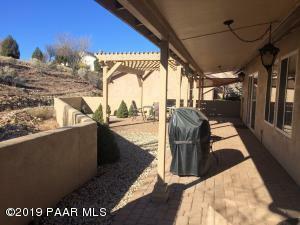 Gorgeous fullylandscaped low maintenance backyard. 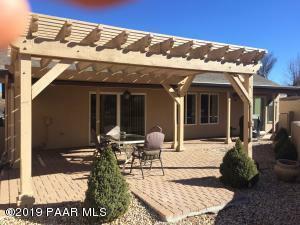 Customcovered patio with pavers and pergola. 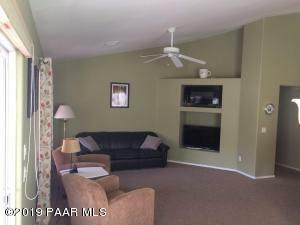 PrescottLakes amenities include golfing, clubhouse,indoor/outdoor community pool, spa, gym, tennisand much more! 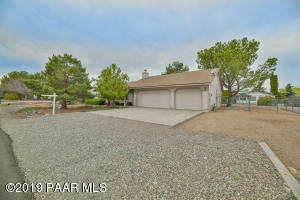 Prescott Lakes Parkway / Willow Lake Road - - -Gate entrance on Prescott Lakes Parkway across from Basis Prescott School.